Fossil Carpopenaeus shrimp on matrix, found in Lebanon. 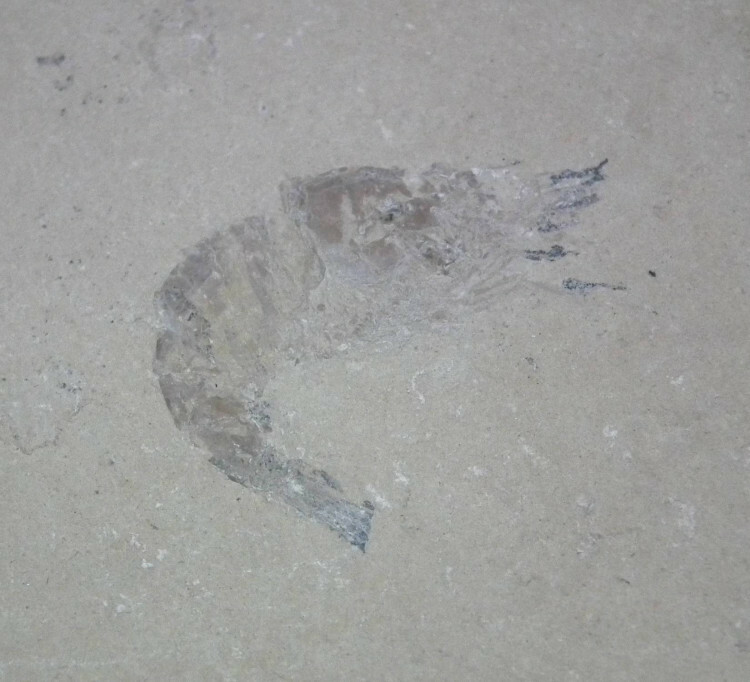 These fossil specimens consist of a Carpopenaeus shrimp fossil on a flat Limestone matrix. 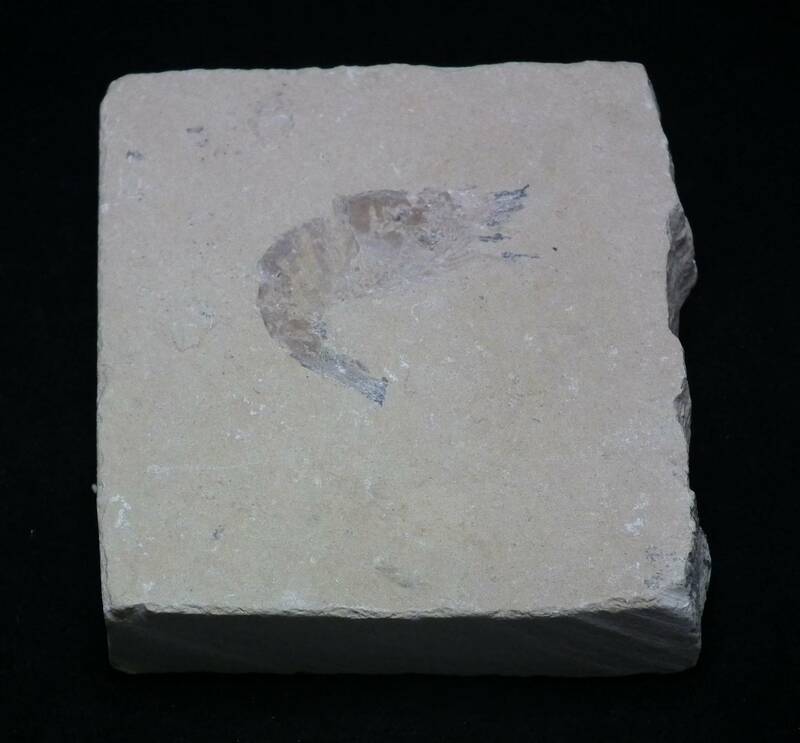 We sell two variations of this product – a piece with a single shrimp fossil on the matrix, and a piece with two shrimp fossils on the matrix stone. 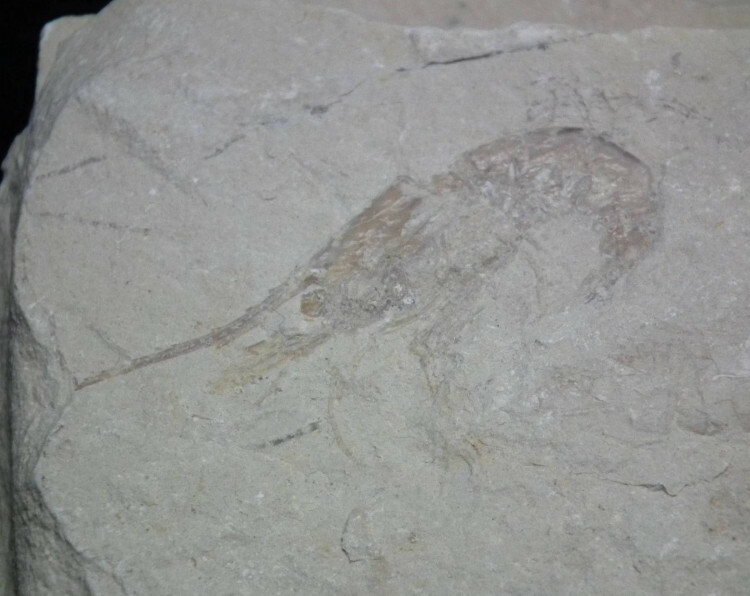 These specimens come from Lebanon, during the Cretaceous. 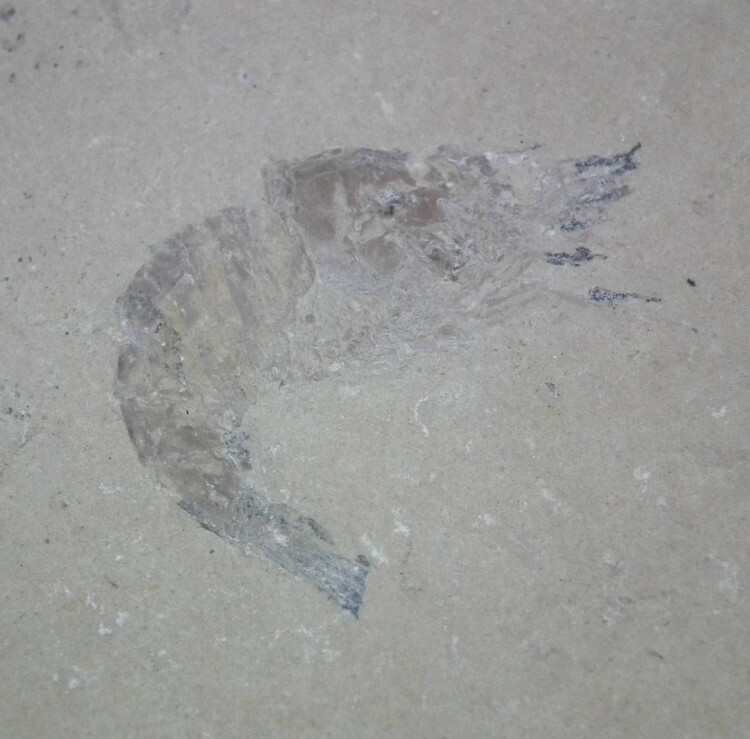 The shrimps themselves measure around 3-5 CM long, and the matrix can be anything from 5-10CM long. The matrix is usually cut square. 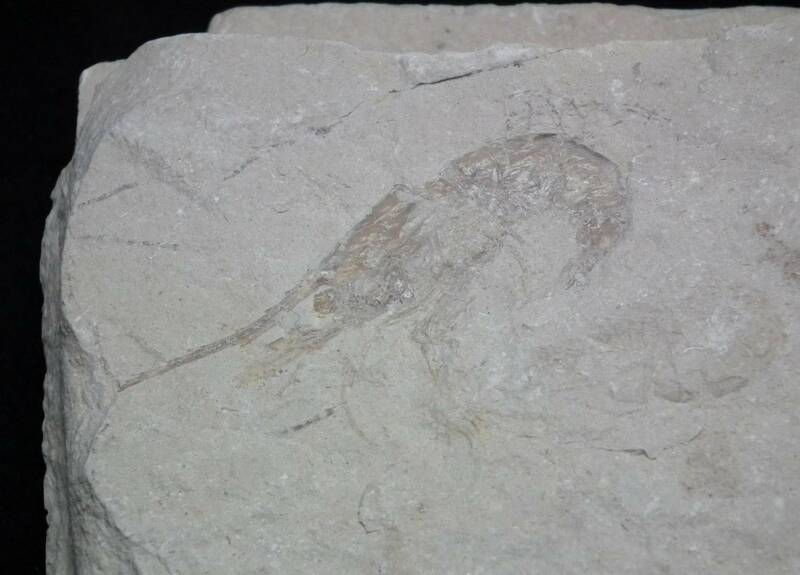 Because these are natural specimens, they may also have other fossils on the matrix. We also cannot guarantee the quality or grade of these fossils, they may have some pieces missing. Typically, they are quite good though – you can certainly make out that they are a shrimp. 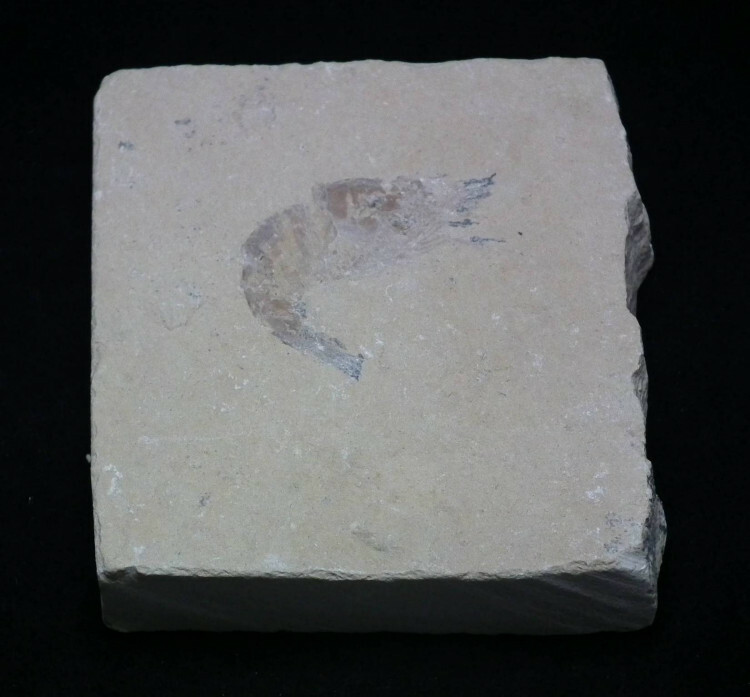 For a full list of all our Shrimp related products, and more information about the fossils themselves, please see our main ‘Fossil Shrimp’ section.